Your chance to ask the Executive VP of the world’s largest nonprofit everything you’ve always wanted to know about philanthropy! We are very fortunate to have an international expert in philanthropy coming to Ballarat, ahead of his appearance as keynote speaker at the Philanthropy Australia conference. José Pedro Ferrão is the Executive Vice President of United Way Worldwide – the world’s largest nonprofit organisation. United Way Worldwide is the leadership and support organisation for the network of nearly 1,800 community-based United Ways in 41 countries and territories. It advances the common good, creating opportunities for a better life for all, by focusing on education, income and health. The United Way movement mobilises millions to action — to give, advocate and volunteer — to improve the conditions in which they live. You are invited to attend a very special community event, where you will hear from José on the topic of “Global trends in not-for-profit” and have the opportunity to take part in a Q&A session. A light afternoon tea will be served. 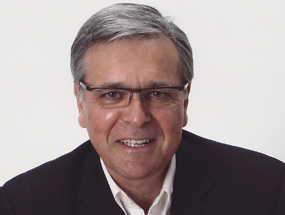 José is Executive Vice President, International Network, at United Way Worldwide. He leads a team of professionals that provide leadership and support for a network of community-based United Ways in 41 countries and territories. He and his team facilitate the adoption of a set of Global Standards that make United Way organisations unique and successful wherever they are in the world.